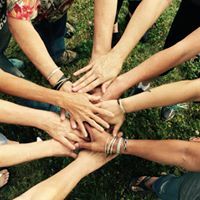 Women for Recovery was born in Athens, Ohio thanks to the dedication of women in the community. It became a nonprofit organization in March 2017 with the goal being to offer residential living in a safe and sober environment to women dedicated to recovery. Day by day, the organization is helping women and creating a community for healing. In this episode of The Kindness Podcast, Nicole talks with Dr. Cate Matisi, an Addictions/Mental Health psychiatrist and Board Member, Betsy Anderson, the Interim Executive Director, and Leeann Brooks, the Serenity Grove House Night Manager. Find out more about Women for Recovery at www.facebook.com/women4recovery/.